So what does it take to succeed and achieve your golf game goals? Every year, Vince Lombardi would start his season with the same words: “Gentlemen, this is a football.” Even though his players were high caliber veterans, Lombardi left nothing to chance. he started with the basics, the purpose of the game, the goal of the game. When planning a trip, you start with the end in mind. Without a destination, there is no way to plan the trip. So, what’s the goal with your golf game? Are you looking for low scores? Do you want to compete… And win? Do you just want to get around the course without losing a dozen golf balls? The first step is to make that decision, create your goal. Step two is how to get there. Take stock of where your game is now. What are your strong points and your weak points. If you don’t know, it’s time to start keeping stats. The fastest way to improve your golf game is to find the weakest part of your game and work on improving it. Start writing down your putts, fairways, and greens. Write down your saves and as bad as it will be to take… write down the wasted shots and what caused them. For most, the weakest part of your golf game is consistency. One week your putting is off, the next it’s your driver and the following week, your irons are all over the place. So how do you improve if you never know what part of your golf game is going to show up? I know the feeling. Woody Allen once said that the secret of success was just showing up. I’d like to adjust that to, “showing up consistently”. So if you practice once every 2 weeks, can you expect to see improvement? It all starts and ends with the golf ball. The golf ball is the target. It’s the reason you swing the golf club… To move the golf ball. Knowing how and why the golf ball moves is the start. Do you ever wonder why you slice? It starts with how the club and the golf ball interact. Once you know that, you can work backwards to figure out the root cause. Once you know the root cause you can fix it and end your struggles with the slice forever… And mark that problem off of your list. Is distance your issue? It’s a complicated one because you have to understand the physics and difference between speed and momentum and how either one affects the golf ball. And of course there is consistency. If you don’t know from shot to shot which way the golf ball will go, you need to start by understanding what creates consistency and inconsistency of movement in the body. And once you understand all of that, you STILL need to understand how the brain and body react to practice so you can make every shot in play and practice count toward moving your game forward. I think we have a full plate here, but a lot depends on you. I need to know where you, the reader stands with your golf game. What are your struggles. What do YOU want to fix. None of my words matter if they don’t help you. Leave a comment and let me know where you stand and what you would like to accomplish with your golf game. I’m back once again to serve you. Thanks for a your thoughts, and I agree that it all starts with knowing what you want to achieve. Which is also easier said than done. During last season I managed to limit lost balls per round (=penalties) from 3 to 1.5. I made a new record round (82) and one round with three birdies. I managed to improve mentally, especially in keeping a bad round together and end with a “bad” result instead of a “disaster”. I have no statistics, but I also managed on several occasions to “come back” and get a par or birdie on the last holes after my worst rounds. My handicap came down, but not as much as it should have, based on the statistics and overall feel of ability. I have no clear idea what part went that much worse than last year. It could partly be a very windy first half of the summer. But still, I really can’t say why my average scores improved much less than my statistics. My putting was as good as ever. The statistics vary a bit between a good (1.7) and a bad day (2.5), but the putting was as consistent as I could ever dream of and the margins were small. Putts under 2 meters generally go in. Compared with others, putting is my strongest skill. The easiest way to improve putting statistics would be in more accurate approach shots. Hitting more greens in regulations has not improved my score at all. Although putting is my strongest skill, on some of our undulating greens a chip to the pin and a one-putt is much easier to manage than starting with a long and breaking first putt. Bunker play is safely out and leaves me one or two putts. Improving the score here would require a whole new level of accuracy, something I can more easily compensate with sinking longer putts. Drives were just slightly shorter this year, but with a better fairway percentage. A longer drive would help on one or two holes. On the other hand, teeing off with a hybrid on certain difficult holes on average gave better results (a consistent bogey rather than occasional par and common double and even triple bogeys). More fairway hits has given better approaches and fewer bad second shots and there is still a lot to be achieved. A smarter strategy might help, but I think I’ve already used the low hanging fruits. Improving on special shots may occasionally help a lot, but are not needed on most rounds. And of course, there are those one to three bad shots costing an extra shot due to inconsistency in every round. These “should not” happen and cost an extra shot, but as you say yourself; one day it is a couple of bad drives, another day poor approach shots, another day you can’t trust your chipping and so on. When the bad shots happen, the reasons are mostly understood, but they will occasionally happen regardless. Even the pros struggle sometimes. And they practise more in a day than I can do in a week, even when I’m “seriously” practicing. My dilemma for the off season practice is: what should I focus on? I don’t expect anyone to have a magic answer, but elaborating on what you wrote in this newsletter, how do you identify the biggest problem area to focus your practice on? I can’t possibly spend more time on golf (the pressure is for the opposite). Instead I have to focus on the things I still can improve on, given the amount of available time I have. I want to Hit the Ball consistantly on every Shot. ProperImpact is my Objective for the Off-Season! Where do I stand and what do I want to accomplish? First, I want to be able to hit the ball straight and not worry about where the ball is going to go or hit somebody. On the range, because no one is in front of me and no chance to hit somebody, I m very loose. My swing on the course becomes tight and my distance suffers. I would one day like to compete in tournaments. I have been at golf for 6 years now. Consistency on the course is my first goal then distance. I am probably 2 to 3 clubs behind on distance. The good news is, I can always “hit” the ball, where it goes and how far is always in question. how to play best golf for 18 holes.can often play par golf for 9 holes.front 9 or back9. Welcome back and thank you! I for one need to be reminded again and again about the basics. Sadly, sometimes multiple times during the same round of golf. Fortunately, you’ve simplified the basics into something that I can consume repeatedly in a relatively short time to get my game back when it runs away. 5 years ago I had a H/C of 5 and I really enjoyed playing and hitting balls on the range. Despite practicing almost each day I was less consistent and began to resent the fact that my game didn’t reflect the time I spent trying to improve. If anything I over practiced. My H/C is now 7 and to be honest, would be higher if I played competitions regularly. I became frightened to play! Practising every day did not improve my consistency or my H/C. I lost interest. I got sick of playing below my expectations and above my H/C. I have not hit a golf ball for two months but I’d love to hit the ball like I used to and enjoy my golf again. My biggest problem is accuracy. I usually have high, correct distance shots that can be dead straight, 20 degrees right or 20 degrees left with little noticeable difference in swing style. I don’t slice and I don’t hook most of the time. I push or jerk the shot. My goal is to become better with my approach shots as I only hit about 3 GIR. 140 to 200 yards is my real nemesis. I hit the ball thin, fat or top the ball, If I hit it solid then I over draw it or push the ball right of target. I’m a mess at those distances and have no confidence. Any shot less of 140 yards and my short game is OK but at that distance I’m usually hitting my 3rd shot. Green side sand bunkers is another problem (we have hard sand at my course) but that’s because my wedges have too much bounce. I would like to improve my consistency, being able to shoot in the low 70’s on a regular basis and even breaking par on occasion. I practice everyday and the part of my swing I’ve been working on is my position at the top of the backswing and my first move down. I tend to push the ball when I try to kill it but when I can stay relaxed and put a smooth swing on it the ball goes straight with a slight draw. The push gets worse with the longer clubs. Any help would be appreciated. My problem is the feeling of my right hand on the club at the top of the back swing….it just does not feel comfortable or neutral, and when I start the downswing, I can detect a slight. sliding effect on the club as my right hand tries to dominate the power in the swing. I also try to keep my left arm straight throughout the backswing (as you see the pro,s do)….but halfway up the tension necessitates my arm to hinge before my wrists….I know this is wrong but cannot correct it….if I keep my arms in the v position….breaking only the wrists at the top of the backswing, I end up with a threequarter swing? I have a good hip and shoulder turn, so that does,nt seem to be the problem. Guess I just sense failure before I commit to the shot, and of course I understand that psychologically that is taboo! Will greatly appreciate any advice you can give! First of all, THANK YOU for coming back! 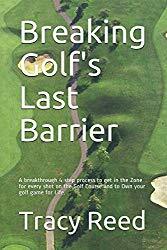 I’ve read and practiced with Golf Swing Control and found the information extremely helpful. What plagues me — transferring the skills learned on the range to the course. On the course there never seems to be a level lie (makes feeling the feet correctly much more difficult), the grass does not look/feel like a mat, the target seems more intimidating! It’s very hard to relax and hit that all-important approach to the green consistently.